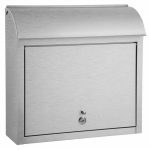 Winfield Compton is a simple decorative wall mount locking mailbox which features a curved top. The Winfield Compton is made of stainless steel and comes with a lock and set of keys. 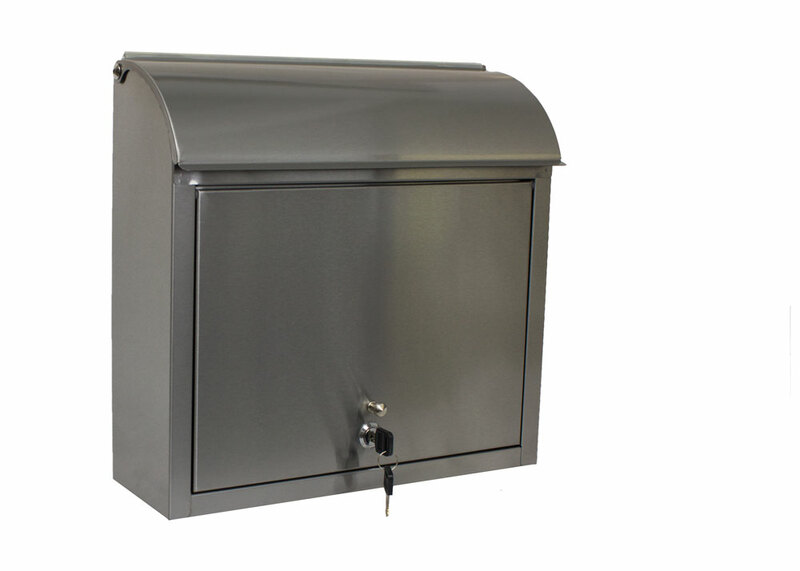 Front locking door opens for easy mail retrieval. Incoming mail slot opening: 13" x 1-3/8"
Add optional Vinyl Numbers or a logo. Call for more information.